Our Porsche parts department is always here to serve you. When a new model is introduced, our technicians again attend training to ensure they are familiar with the latest ever-evolving technology. This highly qualified and in-depth factory training is available to Porsche dealer employees only. Other service centers and third-party shops do not have these training resources. This means that we can really take pride in our expertise on Porsche service maintenance and parts. From best practice seasonal car care to rare and classic Porsche car restorations, you can trust our team knows exactly what to do. We also maintain the latest diagnostic equipment and tools specific to Porsche vehicles and receive the latest technical updates, software updates and bulletins available only from Porsche. You can guarantee that we can expertly service and repair any Porsche model from the 356 up to the current model 991, Cayenne, Boxster, Cayman, Panamera, and Macan. 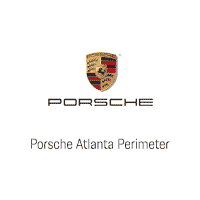 Additionally, you can rest easy knowing that all repairs are complete with original Porsche parts and are backed by a nationwide 2-year unlimited mileage warranty.